The February 22 Cliff Dwellers Book Club will discuss Patricia McNair’s prize-winning collection of stories The Temple of Air. The author, a professor in the Fiction Writing Department of Columbia College, will be attending the discussion. The Temple of Air was called “violently creative” by the Chicago Sun-Times and “plainspoken yet imaginative, complexly unnerving” by Booklist. The historic Cliff Dwellers Club is located at 200 S. Michigan Avenue, directly across the street from the Art Institute. The book club is open to club members, friends and all those who love to read and discuss books. The discussion begins at 11:00 am and ends at about 12:30 pm. Afterwards, all are encouraged to stay for lunch and continue the lively discussion. Advanced reservations may be made by email to reservations@cliff-chicago.org. Humming an old Greek lullaby that his mother sang to him as a child, Spiros Lomedis swiped the raggedy dishcloth rhythmically across the Formica countertop. In his mind’s eye, he conjured up the gentle Aegean breezes and the scent of figs from his island home of long ago. For centuries, the Lomedis and Kalanos families had been farmers, growing bountiful vegetables in the volcanic ash soil of Santorini. The families had the reputation of the best growers of tomatoes, eggplants and cucumbers on the island. Leaving behind their parents and two sisters, Demetrius and Alexi came to the Chicago in 1950, sponsored by a cousin who owned an ice cream and candy store. There they worked for three years, until they saved enough money to buy a place of their own. It was a small restaurant, that some people in the neighborhood called a “coffee shop.” Inside there was a long circular counter, as well as six booths and eight tables. The neon sign above the door flashed the name of the restaurant, The Monte Cristo, repeatedly through the night. The brothers bought it from a Jewish man who had owned it for twenty years. They decided to keep the name because they thought it something uniquely American that a Jew would name his place “the Lord’s mountain” in the Italian language. They soon learned that the restaurant’s name was derived from a popular sandwich on the menu. Located on a busy intersection in Chicago’s Portage Park neighborhood on the North West Side, the place had a steady stream of customers from morning to night. At first, Alexi prepared food in the kitchen while Demetrius managed the restaurant and worked the register. Then in the early ‘70s, Alexi, a bachelor, became ill with cancer and soon passed away. Demetrius’ two children were both college graduates who were beginning their professional careers, and they had no interest in becoming involved in the restaurant business. Demetrius, in desperation, wrote to his sister Elena in Santorini, to start making arrangements with the proper authorities back home to bring her twenty-year old son Spiros to Chicago in order to assist him in the restaurant. Spriros Lomedis loved farming and truly thought that is what he would be doing for the rest of his life. He took pride in growing the juiciest and tastiest tomatoes on the island. He was about to ask his girlfriend Melina to marry him. But Spiros was also a devoted son, and he did not argue with his mother when she decided that he must go to Chicago to help her brother. It broke his heart when he told Melina what he had to do. He left Santorini, never having made a marriage proposal to her. When Spiros first arrived in Chicago during the middle of winter the frigid air shocked his system. He never dreamed that weather could be so cold. “You will see, my boy, that you will get used to it. We all do,” Uncle Demetrius assured him in comforting Greek words. Under his uncle’s tutelage, Spiros learned every aspect of the restaurant business. He opened the place in the morning and closed it at night. He bussed the tables and washed the dishes. The young farmer from Santorini learned how to fry fish, broil steaks and bake chicken. In about a year or so, he mastered all the mundane tasks of restaurant work, and his English was improving so much that he started to wait on customers and work the cash register. But what Spiros liked to do best was to go to the produce market in the early morning when it still was dark outside, and choose the best fruits and vegetables available that day from the merchant stalls. The Monte Cristo did a steady business in the in the ‘70s and ‘80s. Workers from a nearby factory crowded the place at the shift changes in the morning and afternoon. The local business owners found it convenient and affordable for a decent breakfast and lunch. Cops came in all day for coffee and a quick bite to eat. Demetrius and Spiros always made sure to comp them with a rice pudding. Spiros worked twelve hour days; seven days a week. He half-kiddingly told his customers that he never had a family because he was married to his restaurant. He made a good enough living to provide for himself, and each month he would wire some money to his family back home. The community was changing and sometime in the mid- 90s, the neighborhood factory closed. A decade later it seemed that half the local retail shops had closed as well. Then the largest bank in the neighborhood shuttered its doors. Gross receipts for the restaurant dwindled. It seemed that people nowadays would spend five dollars for a sugary and creamy Starbuck’s frappuccino, rather than a full breakfast at The Monte Cristo for the same price. Then Uncle Demetrius’ dementia began to set in. His children arranged for him to live in the Greek Nursing Home in Wheeling. Spiros began to think that now might be a good time to go back home to Santorini. After all, he had a nice nest egg in savings and soon he would be getting Social Security A couple of Mexican guys had made him an offer to buy the place for a taco joint. Each day he daydreamed more and more about the sights and smells of the island. In his heart of hearts, he knew that only in Santorini’s volcanic ash soil he could achieve his lifelong dream of growing the world’s perfect tomato. In Willard Motley’s great novel of Depression-Era Chicago, Knock on Any Door, one of the characters mentions “I won a prize on the Morris B. Sachs amateur hour a year ago. Five dollars for five minutes.” Later on in the book there is a mention of clothes that” Emma had bought at Sachs out on the South Side to get married in.” These references in Motley’s novel reflect the pervasiveness of Morris B. Sachs and his enterprises on the commercial and cultural fabric of Chicago life for nearly four decades. As a young boy, Sachs traveled alone on board a ship from Europe, arriving at Ellis Island with countless other immigrants on or around 1908. Affixed to his well-worn coat was a tag with identifying information. It was understood by the immigration authorities that, through prearranged plans, the boy was to be picked up by a responsible adult, yet no one came to meet him. Seemingly abandoned and unprotected in a new and strange land, a concerned and unknown local butcher took the boy under his wing and sheltered him at his shop, letting him sleep in a spot near where the freezer was located. This demonstration of kindness from a stranger was something that stayed indelibly with Sachs his entire life. How the young Lithuanian Jewish boy found his way to the burgeoning Midwest metropolis of Chicago remains a mystery. We do know that somehow he was able to buy a pushcart and a small stock of neckties from a jobber and started peddling his merchandise at the Maxwell Street market. From about 1890 to 1920, tens of thousands of poor Eastern European Jews called the Maxwell Street area their first home in America. Sachs, at first, could get by there speaking Yiddish and basic street merchant English. Sachs showed a natural flair for selling his merchandise and he soon became more comfortable speaking English. He bought a horse and cart to move his wares beyond Maxwell Street and to potential customers living in Chicago’s other ethnic enclaves south of the 16th and Halsted viaduct. Traveling south on Halsted with a cartful of ready-made clothes and various fabrics, Sachs discovered many new customers from the Bohemians, Irish, Italians, Lithuanians and Croatians living in the Pilsen, Bridgeport, Canaryville, Back of the Yards and Englewood communities. Later on Sachs would claim that he sold Richard J. Daley’s mother the future mayor’s first pair of long pants from the inventory in his cart. The Irish women in these neighborhoods were especially appreciative of the bountiful supply of lace that the traveling merchant carried, which they bought from him to make doilies and curtains. He was known as someone with a willing hand to help others in need. Sachs felt deeply that one should “keep giving to those in the need until it feels good.” His generosity to local charities, especially Catholic ones, solidified his outstanding reputation in Chicago’s largest and most powerful religious community. He developed life-long friendships with parish priests and bishops, which proved valuable both as a merchant and, later on, as a politician. He was a man of uncompromising integrity. As an exceedingly trustworthy person, Sachs preferred dealing with his suppliers with a handshake, rather than a formal contract. People that did business with him knew that the word of Morris B. Sachs was as good as gold. Sachs and his wife Anna Baker Sachs were married for 41 years. Sachs, and his wife Anna, whom he married in 1916, settled in the Hyde Park neighborhood at 4950 Chicago Beach Drive. The Sachs’ had two daughters, Zenia and Rhoda, and a son also named Morris B. 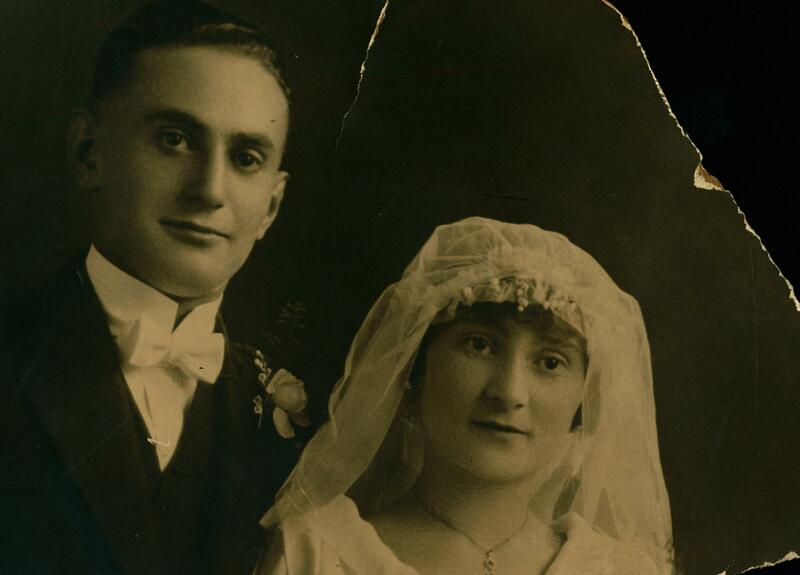 Now with a wife and three children and a successful business, the Lithuanian immigrant saw himself as a very lucky man indeed, someone who made something from nothing; someone who had achieved the American Dream. Sachs was one of the first in Chicago to introduce “lay away plan” merchandising. This helped his customers secure their items with small down payments during the hard times of the Depression. He sold in volume, thus selling his clothing at lower prices than his competition. His business boomed, and in 1940 he added three stories and 12,500 square feet to his Englewood store. Sachs also received much positive press when he took it upon himself to cancel the payments owed to his store by men and women who were serving in the armed services during the World War II years. He always exhibited great showmanship in promoting his business, so it was natural for Sachs to venture out into the entertainment business. In 1934 he launched the Morris B. Sachs Amateur Hour first airing on radio station WENR, and later on WENR television as well on Sunday afternoons from 12:30 to 1:30. The venue for the show was the beautiful and ornate Civic Opera House in downtown Chicago. The show proved to be an instantaneous success. Everyone seemed to delight in the wide variety of amateur acts showcased. 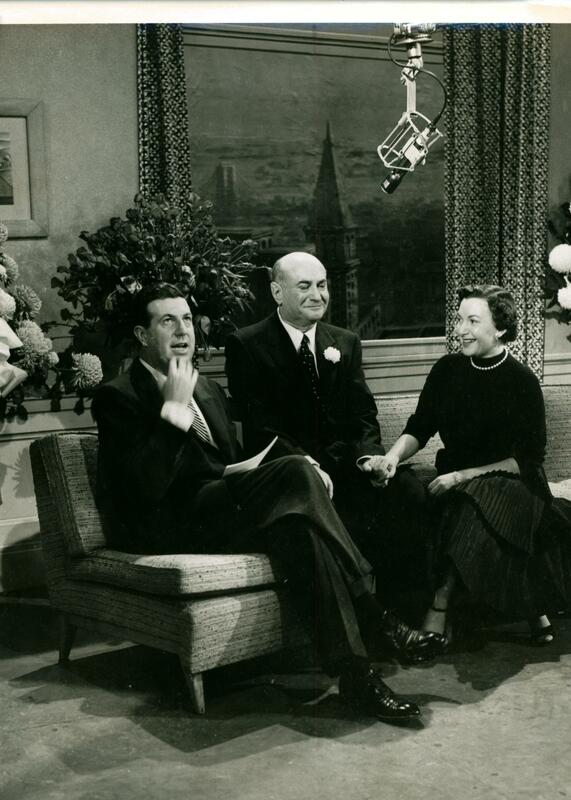 It was an opportunity for Chicagoans and other Midwesterners to “strut their stuff” for the first time in front of a large radio and television audience, while winning both major and minor prizes. Most of the acts were enthusiastic, though unpolished, musicians, singers, acrobats and comedians, but every now and then a star was born on the show, including singers Mel Torme and Frankie Laine, as well as comedian Steve Allen, the first host of The Tonight Show. Sachs would come on at the end of each show and personally award the winning contestants with wrist watches and other prizes. His TV viewers would see a short, baldish man with a contagious smile and avuncular manner. A discerning viewer might even notice that he walked with a cane and had a slight limp. The writer of the letter continued by instructing Sachs to drive around Ogden Park, at Marquette and Loomis, while he was to look for an individual waving a white handkerchief behind a bush. The meeting time to drop the package of cash was to be 11:30 in the evening. Unfortunately, a few months later his leg began dragging as he walked. Doctors speculated that he must have experienced a mild stroke during the time of the extortion plot. He was saddled with a limp the rest of his life. Sachs, always sensitive to others, especially the young with crippling conditions, would feature a special “March of Dimes” program on the amateur hour once a year. Sachs rode the tide of the post-World-War-II economic boom, and opened a new store on the North Side, at 3400 W. Diversey, in 1948. His two stores combined grossed about 8 million in revenue, while employing 700 workers. He showed great respect to both his employees and the unions that represented them. Sachs’ growing economic success and unblemished personal character were catching the eye of Chicago’s political power structure. Mayor Martin Kennelly, who had the support of the Chicago political machine for his previous two successful election bids, lost the support of the ward bosses as he announced that he was running for a third term in 1955. By an overwhelming vote of 49-1, the fifty Chicago Democratic ward committeemen slated 11th ward committeeman and Cook County clerk Richard J. Daley as the Party’s candidate for mayor over the incumbent. Kennelly, the founder of Allied Van Lines, a warehouse and trucking business, asked Sachs to run with him as his city clerk, joining Marion Isbell, a restaurant owner, who later founded Ramada, Inc., who had already agreed to be part of his team by running as city treasurer. Kennelly would present the citizens of Chicago with a “businessman’s ticket” that would present them with a clear choice to the professional politicians on the Daley slate. Sachs pledged that he would donate his entire $12,000 city clerk salary to charities if elected. Benjamin Adamowski, a lawyer and a former state representative, was the third candidate in the Democratic mayoral primary held on February 22. Adamowski hoped that Chicago’s large Polish ethnic bloc would rally around his candidacy and catapult him to a victory in the race. In the three-way race, Daley, with the forces of the powerful Democratic organization working for him won an easy victory with 376,847 votes to 264,775 for Kennelly and 112,072 for Adamowski. A memorable photo was taken election night of Kennelly comforting a distraught Sachs, clinging to the mayor’s lapels with his tearful face on the defeated incumbent’s shoulder. Daley was to face Alderman Robert Merriam of the liberal 5th Ward in the general election on April 5. Merriam, an ex-Democrat turned Republican, campaigned on a reformist agenda for the city. Daley knew that the Democratic ticket had to appear “squeaky clean” to the electorate, and that any hint of scandal could be detrimental to the Party’s success. This is why Daley decided to dump 40th Ward Alderman Bernard Becker, the nominated candidate for city clerk, because of alleged zoning improprieties in Becker’s ward. When the votes were counted, Daley defeated Merriam, with a total of 708,660 to the Republican’s 581,255. The victorious Marcin had 708,228. But the winner with the largest plurality that evening was Sachs, who garnered 735, 747 votes. However it didn’t take long before newly elected Mayor Richard J. Daley soon realized that his new city treasurer, Morris B. Sachs, was going to be his own man as a politician, just as he had been as a merchant and philanthropist. Sachs was always highly demanding both of himself and all those who worked for him. Dishonesty and laziness in both politics and business were traits that could not, and should not be tolerated, according to Sachs’ moral compass. Less than two months in office, Sachs fired three politically connected administrative staff in the treasurer’s and told the remaining twenty-eight that he expected them to work hard and perform well, and if not, they should “better see their angels and get other jobs.” Sachs truly believed that the work culture in the treasurer’s office should be no different than his business. Sachs though had bigger plans both commercially and politically. A decision was made to open a third Sachs store in the heart of the Loop at the southwest corner of state and Monroe. Also, Sachs strongly believed that his “business sense” was just what the state of Illinois needed in leadership, and he announced his candidacy for governor in the spring 1956 Democratic primary. Daley made it perfectly clear that Sachs would not get the support of the Democratic organization in the primary. The endorsement was given to Cook County clerk Herbert C. Paschen, who won the election with 58% of the vote to Sachs’ 42%. Daley’s political machine crushed Sachs in the city and county, though the city treasurer managed to carry the Downstate Democratic vote, as well as some of the collar counties. When Paschen, the Democratic nominee, was forced to remove himself from the ticket due to a budding campaign scandal, Sachs asked the political powers to be in the Party to name him as the candidate. Instead Judge Richard Austin received the nomination, losing a close election to Republican incumbent governor, William Stratton, by a margin of 37,000 votes. On March, 15, 1957, the doors to the Sachs State Street were finally opened. Thousands of people lined up see the store and merchandise. Mayor Daley cut the ribbon, and the chief of the city’s central traffic police said that it was the largest grand opening that he had ever seen. Sadly, Sachs had little time to enjoy this wondrous downtown success. He passed away four months later on Sunday, September 23, at the age of 61. In the opening of the State Street store, the name Sachs could now be placed alongside Field, Goldblatt and Wieboldt in the panoply of great State Street merchant princes. It was truly the achievement of the American Dream for that immigrant boy who arrived on a foreign shore alone and abandoned. The Cliff Dweller Book Club will hold its first meeting at the Club (200 S. Michigan) from 11am to 2pm (with a break for lunch) on Saturday, January 25, 2014. The Book Club is open to members, friends and all those who love to read and discuss books. I will be the discussion moderator for this and future meetings. Since we are, after all, “The Cliff Dwellers Club,” our first book selection is Henry Blake Fuller’s novel “The Cliff Dwellers,” first published in 1893. Advance reservations may be made by email to reservations@cliff-chicago.org or you may email me at richardreeder34@gmail.com for more information.